We have just delivered, installed and commissioned Reveal TAP system to a new customer. This steel plant needed to monitor and estimate the molten steel levels in the ladle after the tapping from the Electric Arc Furnace (EAF) and the steel mass. 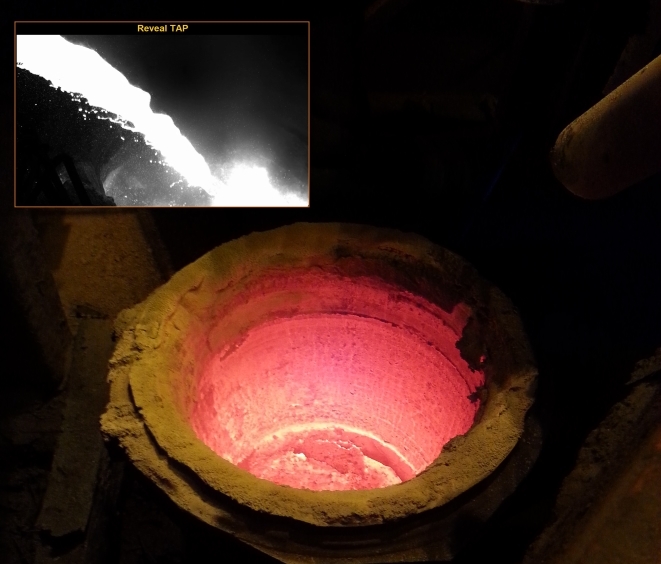 A fixed camera was installed to monitor in real time the levels of molten steel that was poured from the EAF and, with Sapotech own algorithms, we were able to estimate the level of molten steel. Moreover, we estimated the steel mass, based on the detected level of steel, and the ladle production history. Also, the entire tapping processes and related measurement data is stored automatically to a local cloud service for later access. The benefits for our customer of having Reveal TAP installed is that now they can monitor online and record automatically the tapping process and estimate the steel mass. Hence, all the details and information gathered can be used for later analysis and process improvements. Reveal TAP can also help our customer to avoid accidents because the operators can monitor the tapping process safely from the control room and the system can give alerts to the operators in case of some abnormal tapping.